Amazon might have the best-selling smart speaker with its Echo Dot, but that is just one Alexa-powered device. Amazon wants Alexa everywhere – on as many devices as possible. The company is now making it even easier for companies to integrate Alexa into their products with the launch of the Alexa Voice Service (AVS) Device SDK. 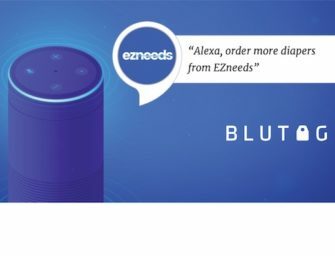 According to Amazon’s blog, the new SDK allows companies to add Alexa voice control to any device capable of voice recognition including “other capabilities such as streaming media, timers and alarms, notifications, weather reports, and thousands of custom skills.” Basically, Amazon is welcoming any company to add a fully functional version of Alexa to any device with open arms. The AVS Device SDK was first available as invite-only to more than 50 commercial device makers, including Technicolor, which has added Alexa to its Home Networking Gateway and Extender, and Berlin startup Senic, which integrated Alexa with its Smart Home Hub, COVI. “By providing the proven client software, the SDK makes our development time much faster and saved out team a lot of development time. We’re really excited to start shipping COVI to our international community of users,” said Tobias Eichenwald, CEO and Co-founder of Senic in a statement on the Amazon blog. A cut down on development time is exactly what Amazon is hoping to achieve with its new SDK service as it removes one barrier for getting more device makers to integrate with Alexa. It also, in Amazon’s own words allows them “to get to market faster with your Alexa-enabled products.” The voice enabled device industry is growing rapidly and Amazon’s approach has always been quantity over quality with Alexa. It has the most skills because of its open approach to Alexa skill development. And now it is applying the same strategy to Alexa-enabled devices. Amazon doesn’t really care what the device is, as long as Alexa is on it. The company wants to ensure Alexa is the number one voice assistant, and to Amazon that means volume, whether it be number of users, skills, or devices.